One of the main reasons people find themselves dropping their pick regularly whilst playing guitar is that they are holding their pick incorrectly in different ways . There's no official way to hold a pick , and everybody seems to do it a little bit different . But i'm taking this from my own personal experience ,and when I was shown to hold my pick like this , my strumming greatly improved . Holding the pick between the thumb and forefinger is probably the most used method of holding the pick . But there are several key areas to remember , that if you do wrong , you might find yourself dropping the pick more than not. 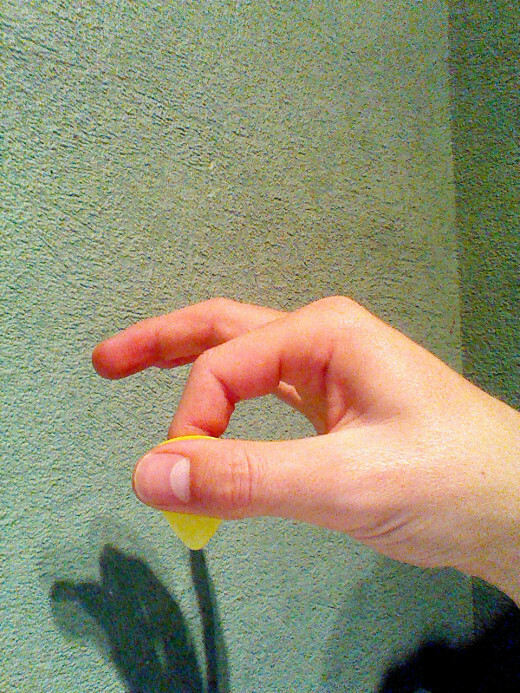 This should give you much more grip than holding the pick up near the top .Although, this will be different with varied styles of playing .But, for a beginner who finds they drop it often , I'd recommend holding it pretty low down .It's useful to remember that the top of the pick should be seen over the top of the thumb , and the end of the thumb should go past the side of the pick .One of biggest reasons beginners drop the pick is because they hold it right at the tip , so you should find moving your grip down about half a centimeter very useful .The less pick you expose , the more accurate your strumming will be , and there's less chance you'll drop the pick . This will keep your other fingers out of the way . 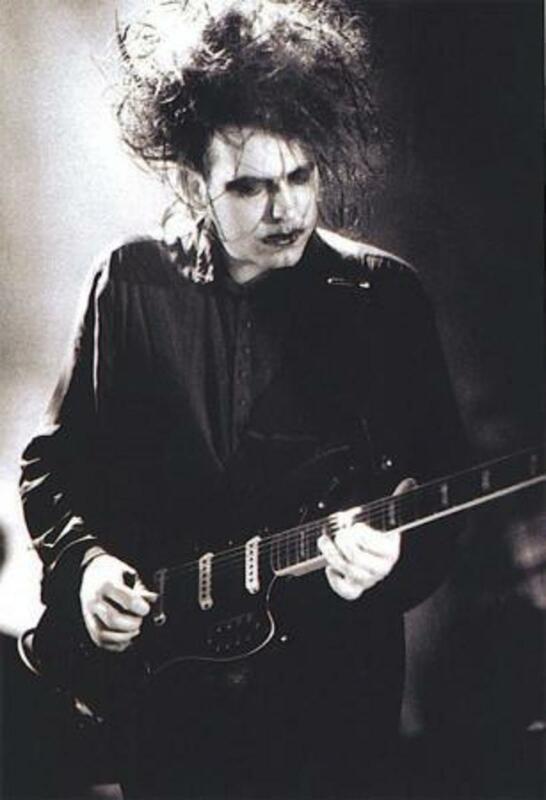 Although some great guitarists are known to hold the pick with two fingers and a thumb, i don't recommend holding your pick with any over fingers apart from thumb and index . It should almost fee like you're barely holding the pick , and it's just sat between your fingers . If you'r holding the pick low enough it should provide you with enough grip to hold the pick very loose .It might be useful to imagine holding the pick with the same grip you would hold a piece of paper with . This is to stop you from bending your wrist into an odd position when strumming , as the wrist she be kept fairly straight and align with your forearm . You should be using the hard ,side of your index finger and not the soft face of it when holding the pick . Strumming accuracy is how accurate you are when strumming the strings on the guitar . People with bad strumming accuracy may find themselves hitting the strings too hard , usually on the up strum , causing them to drop their pick . Or they may find themselves missing the strings altogether . Strumming accuracy is not something you can deal with as quickly as changing how you hold your pick, but is just as effective to improve for better guitar technique . First things first with this technique, strum a hell of a lot ! You'll find that after you've spent a long time ,months , strumming , your hand learn to readjust the pick whilst your still strumming to stop you from dropping it . There's nothing that beats improving your strumming than quiet simply , well , strumming . Yeah , you probably know that all ready , right ? 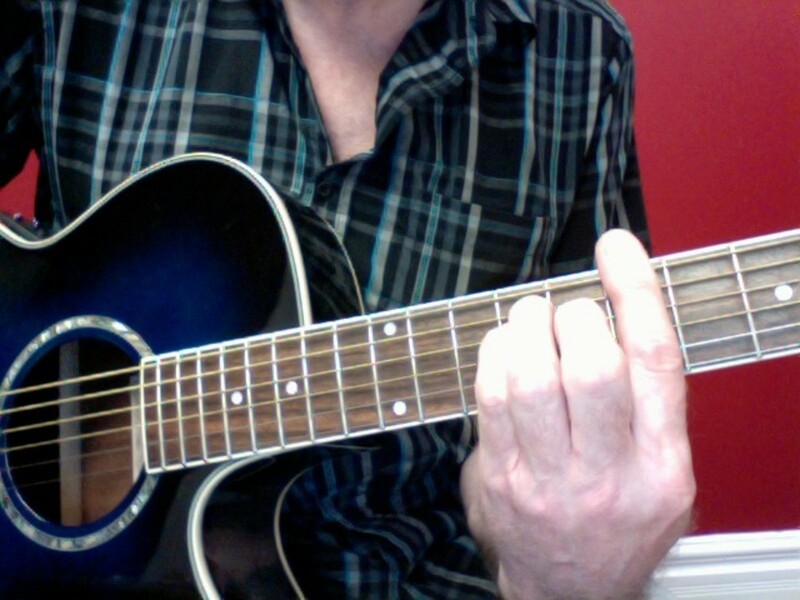 So here's a few useful tips to do when you're practicing your strumming. I know that metronomes probably make the most annoying noise that's ever existed , but there damn useful , so get yourself one if you haven't already . Or , if you've got a smartphone , you can download a metronome app which there many of out there .They not only can be used to improve your strumming accuracy , but also improve the timing of your strums , and are just all round useful . Begin by setting the metronome at very low , about 60 bpm , and strumming a simple strumming pattern along to it . I'd recommend when doing this to not play a chord , and instead wrap your left hand around the strings to mute them , so all you need to concentrate on it the strumming side of things . Drop your pick ? Well pick it up again and carry on strumming . This technique can be really frustrating sometimes but if you stick at it the benefits will definitely be worth it . Try setting a timer for 5 minutes and doing this every day to see an improvement quickly . Once you're getting comfortable with 60 bpm , and by comfortable i mean able to strum at this level for 5 minutes without dropping your pick , try gradually increasing your speed . Eventually , you should probably should be aiming for being able to strum at 160 bpm to know that you've really got the hang of this . alternating base notes is a similar technique , but this will further improve you're strumming accuracy ,making you less likely to drop the pick . First , you need to do a very basic DDU strumming pattern ( 12& ) but replace the first down strum with a pluck of the base note . 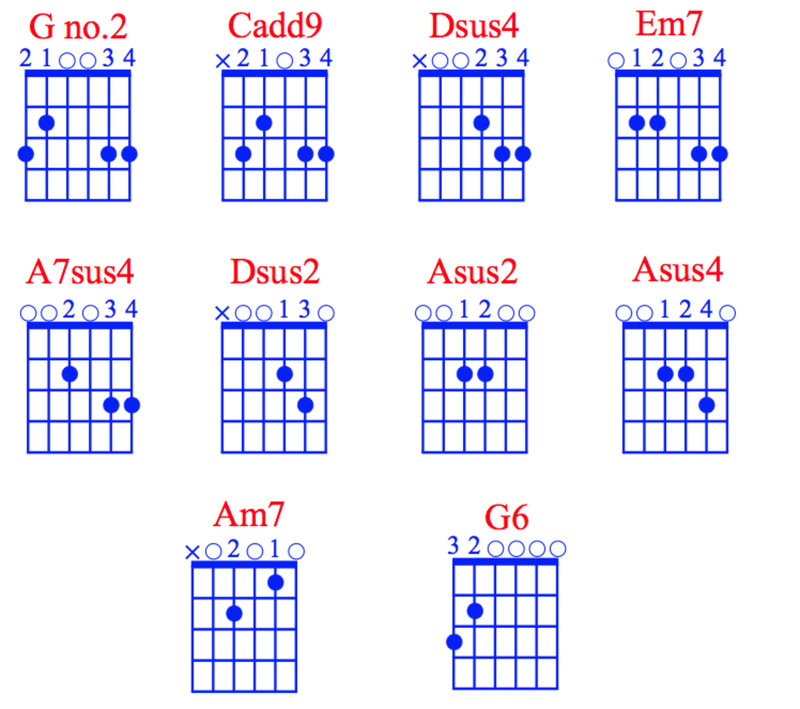 The base note is the lowest string that you play in a chord , so for example , the base note for the C chord would be the 5th lowest string as you do not place the 6th string . As before , set your metronome to 60 bpm and do this for 5 minutes a day . I really recommend practicing this strumming pattern , as it greatly increases your accuracy as you not only have to concentrate on hitting those base notes , but also doing a clean strum . Making your arm less tense will allow your strumming to be more fluid . 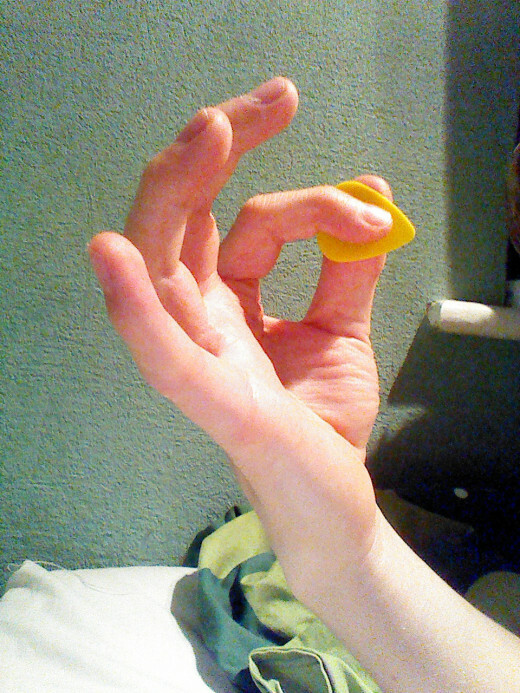 Strumming simply does not work when your arm is tense and stiff , and will lead to you dropping your pick . 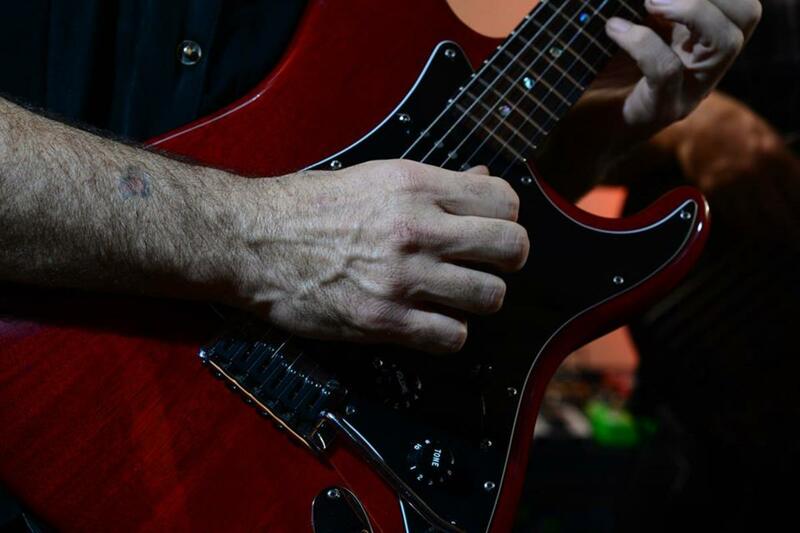 There are two movements that your arm mainly does when you strum . These are the up , down and twisting movement of your wrist , and the up and down movement of your elbow . Concentrate on each one individually ,first only strumming with your wrist , and then only using your elbow , making sure your arm stays very loose and floppy when strumming . When you feel that you've got the hang of both movements , you can try combing them . Don't dismiss how important it is to keep your arm relaxed Doing the action of shaking water off your hand when strumming is what i find most useful . Ever heard of gorilla snot ? It's a bit like a guitarists glue that temporally sticks the pick to the fingers . Whilst this is all well and good if you're using it for gigs when your hands get sweaty , I would not recommend it to beginners. These kind of products are only masking the problem , not dealing with it . If you want to stop dropping your pick when strumming , simply practice strumming . If it's been a few months , and you're still finding it impossible to keep hold of the pick , than maybe it might be beneficial buying yourself a pick that is specially made to have some extra grip such as the 'cat tongue ' pick or 'Dunlop max-grip nylon ' pick . But again , only get these if it's really necessary as once you start using one of these grip type picks , you may find transferring back to a normal pick very difficult as you've never actually mastered pick accuracy . Or you could also go DIY , and try out such things as etching crosses in you're pick with a penknife , punching a hole in it with a hole punch or roughing it up a little with sandpaper , Again , only do this if you feel you have no choice. I hope you find some of these tips useful ,and remember , don't give up ! Everybody goes through this problem when playing guitar , just think of it as a right of passage ! 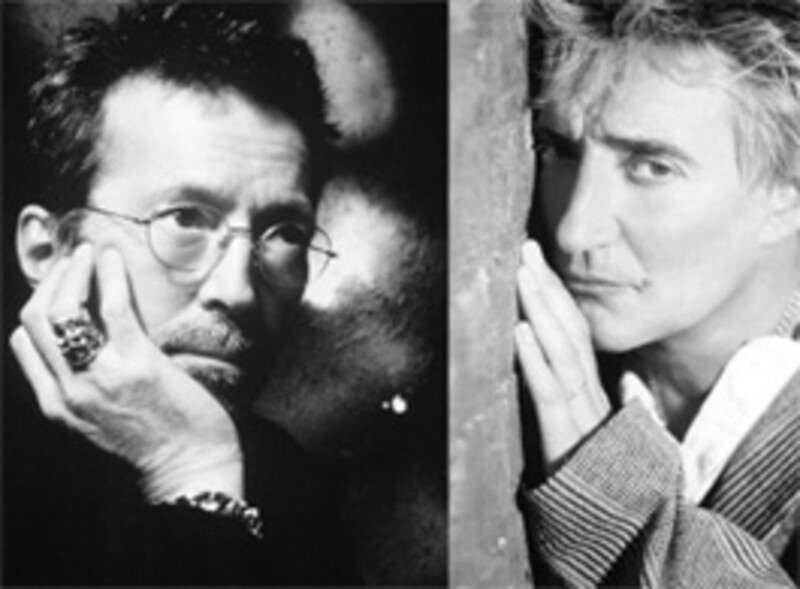 Easy Guitar Songs • Running On Faith (Eric Clapton) • Maggie May (Rod Stewart) • Strumming Patterns, Chords.